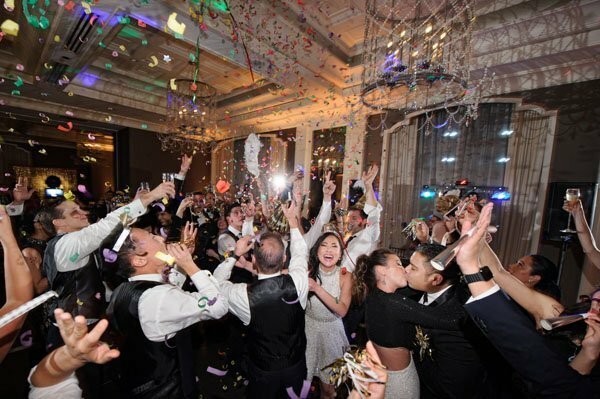 Our average base cost for a Waldorf Astoria Chicago wedding is calculated by figuring a 125-person guest list for a Saturday ceremony/reception using a food/beverage cost of $350/pp plus associated fees. 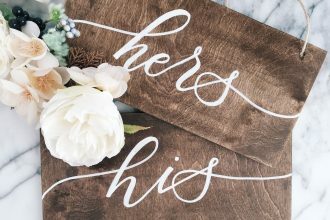 Entertainment, flowers, furniture, additional decorations and rentals, transportation, and photography are NOT included. Price is rounded up to the nearest thousand. Gratuity and sales tax is included. 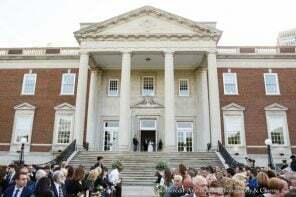 IMPORTANT INFO: In addition to the packages below there is a $1,500 ceremony fee as well as food and beverage minimums. 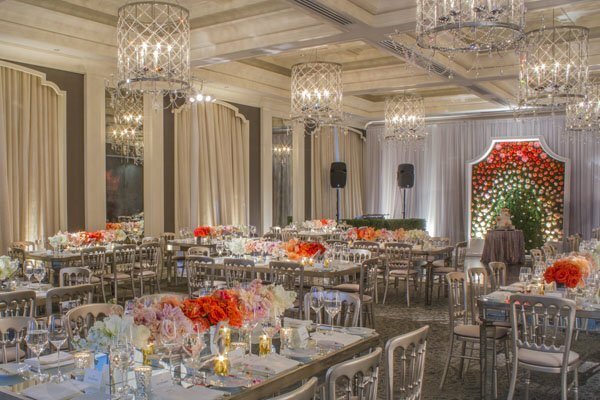 For example on a Saturday night for a 150-guest wedding in the Sinclair ballroom there is a $40,000 food and beverage minimum. 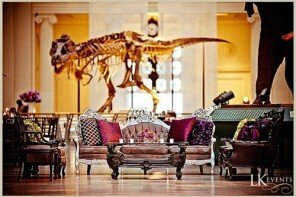 Food and Beverage: You must use their in-house catering team by choosing one of the packages above. 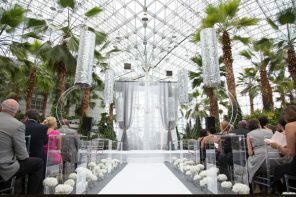 Other Vendors: You may use outside vendors for everything other than catering, however a final vendor list must be submitted at least two weeks prior to your event. 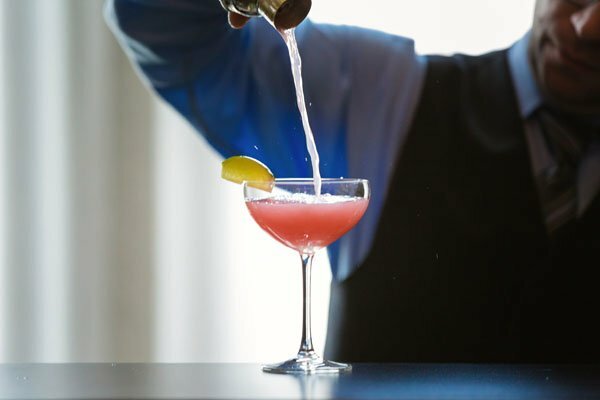 Bonus: You’ll want to become a Hilton Honors member since you’ll be able to receive 2 HHonors Bonus Points per $1 spent for a qualifying event. 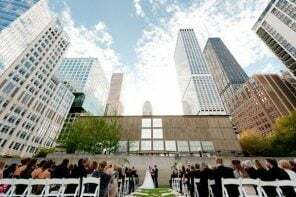 Eligible revenue will include catering revenue for wedding food and beverage, exclusive of tax, labor, and service charges, and any guest rooms charged to the Master Account, exclusive of tax. 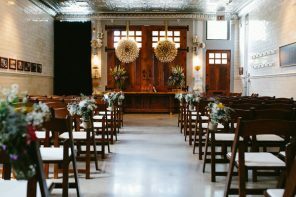 Most receptions take place in the Sinclair ballroom, with the ceremony and cocktail hour on the same floor in the Fitzgerald, Faulkner or Hemingway Salons. 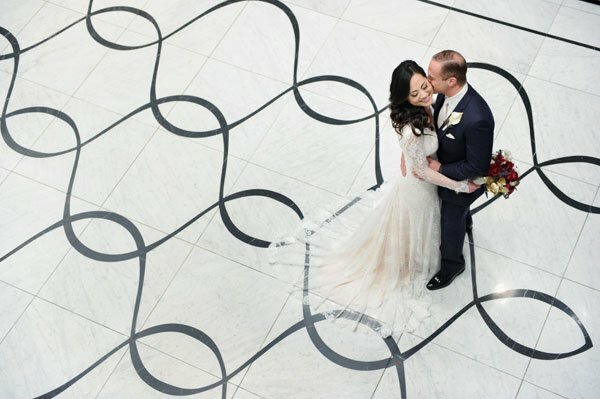 Note that you have exclusive use of the entire floor for your wedding day, so you won’t have to worry about sharing. How Will Grandma Get There? Ideally she would stay at the hotel. 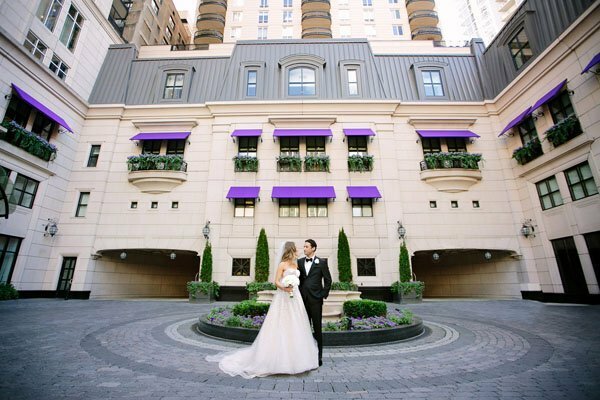 The venue is located in the posh Gold Coast neighborhood, which is close to a ton of upscale boutiques, restaurants, and lodging. 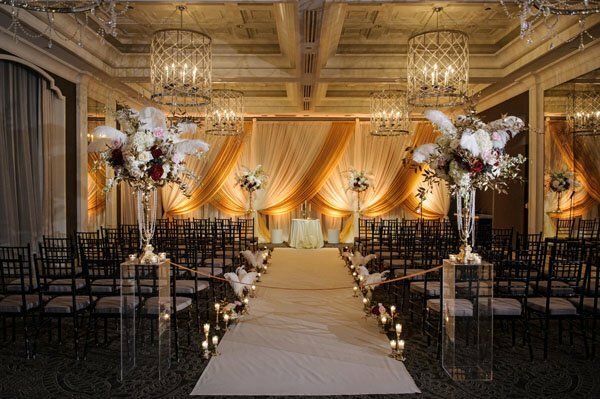 The venue/hotel is located approximately 40 minutes from O’Hare International Airport. Party On! Events can go until 2 a.m. 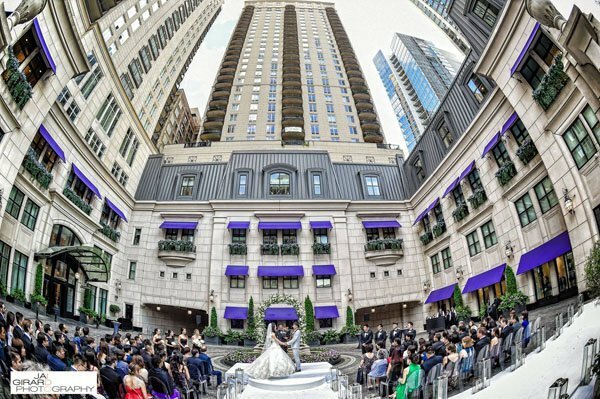 Formerly the Elysian Hotel Chicago, the 188-room, 60-story hotel was designed by Chicago architect Lucien Lagrange and opened as a Waldorf Astoria in 2012. Conde Nast Traveler has rated their spa #3 in the U.S., so you’ll definitely want to pamper yourself before the wedding (and after!) there. 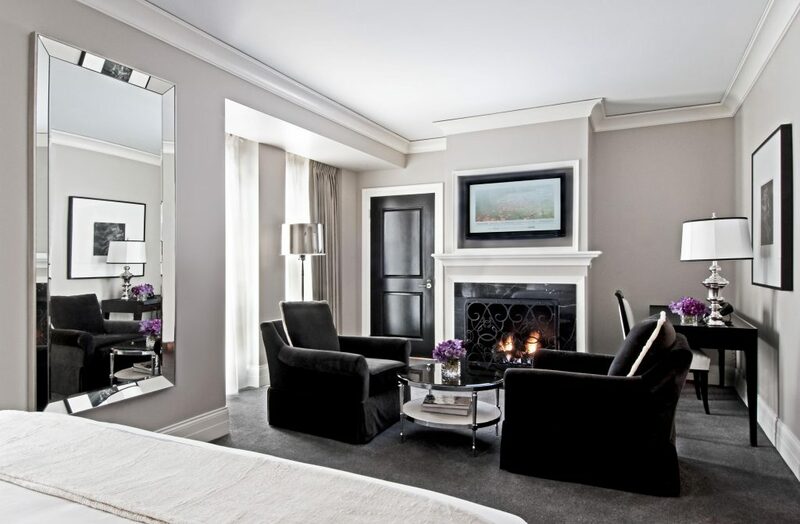 If you’re dreaming of a modern city hotel that is ultra luxurious, this is it. 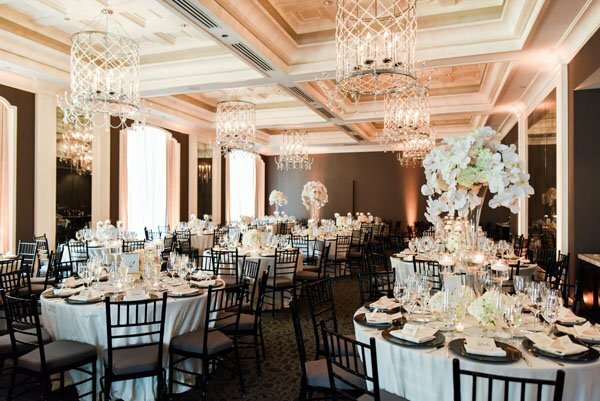 The Sinclair Ballroom (and the whole hotel, really) takes a page from 1920’s Paris with a gray and white color palette, silk walls, a coffered ceiling, and hand blown glass and crystal chandeliers inspired by vintage jewelry. 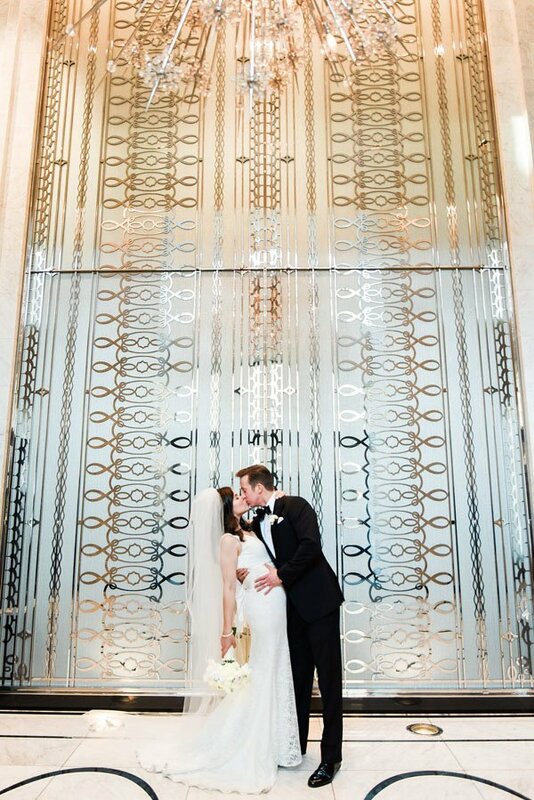 We love that you have the entire fifth floor to yourself when you host a wedding, which means you won’t see other hotel or wedding guests. 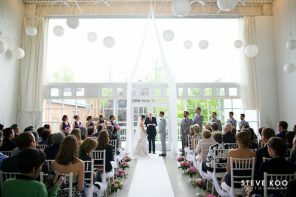 In the warmer months you can also have your ceremony in their cobblestone courtyard, which is a great option if you’re looking for an inside/outside wedding venue. 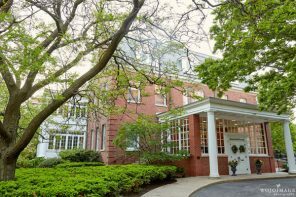 Guests will also love staying in the hotel (we’ve stayed there and they are some of the largest city hotel rooms we’ve seen), and suites even come with their own fireplace and balconies. (Also the bathrooms are super luxe with marble finishes and a deep soaking tub. Swoon.) 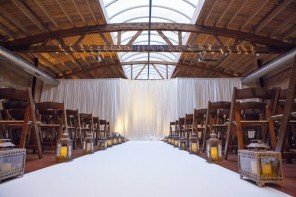 The only thing to keep in mind is that some brides have noted that they were happier there with a smaller guest list (under 125), which is perfect if you’re looking to host a good size wedding that feels a bit more intimate (vs. the standard hotel ballrooms that you can feel swallowed up in). 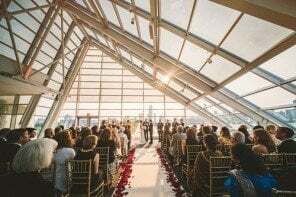 While the budget is definitely on the higher side, almost everything is inclusive so you won’t have to bring in a ton of decor or rentals, which might end up saving you more money in the long run.